This week on Episode 220 of the InSession Film Podcast, we talked about our expectations for this summer’s movie season, and the films that correlate respectively. We discussed both blockbuster and indies alike, and covered nearly 15 different films in detail as we preview summer 2017. 1) War of the Planet of the Apes – will cap off one of the best trilogies we’ve seen the last 30 years. 2) Detroit – will be the objective best film of the summer. 3) Wind River – will prove that Taylor Sheridan is as capable a director as he is a writer. 4) Landline / A Ghost Story – will be the overlooked films that I champion the most. 5) Wonder Woman – will be the best DCEU film so far and course correct the franchises. 1) Okja – will create major awareness for Netflix and their original films. 2) Baby Driver – will be the most fun this summer. 3) The Big Sick – will be one of the most important films of the summer – per its notions about open-mindedness. 4) It Comes at Night – will put A24 on the map in even bigger ways. 5) Cars 3 – will be the most surprising film this summer. 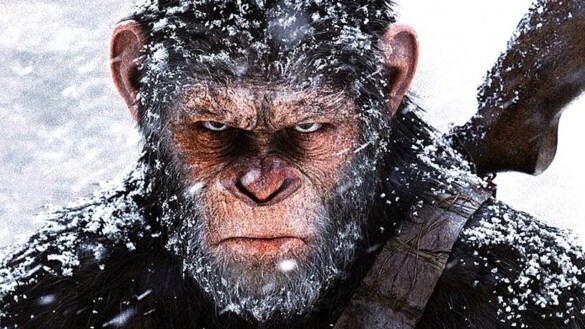 1) War of the Planet of the Apes – will be the best movie of the summer. 2) The Book of Henry – will be the feel-good movie of the summer. 3) The Bad Batch – will catch a lot of audiences off guard. 4) King Arthur: Legend of the Sword – will be a big box office bomb. 5) Wonder Woman – will be a huge box office hit and surprise many. Hopefully you guys enjoyed our lists and if you agree or disagree with us, let us know in the comment section below. We discussed a good variety of films here, but clearly there are many others that we didn’t have time for. That being said, what would be your Top 5? Leave a comment in the comment section or email us at insessionfilm@gmail.com.